At the core of stock values is the economic fact of supply and demand. You know how that works. Yet in the world of stocks, supply is generally open-ended. The financial world is happy to put more supply of individual stocks or shares of funds or ETFs into the market. Share price changes are almost 100% driven by changes on the demand side. However, upcoming changes in the MLP sector will produce a significant supply reduction. The market doesn’t seem to be aware that there is also a supply side to supply and demand. 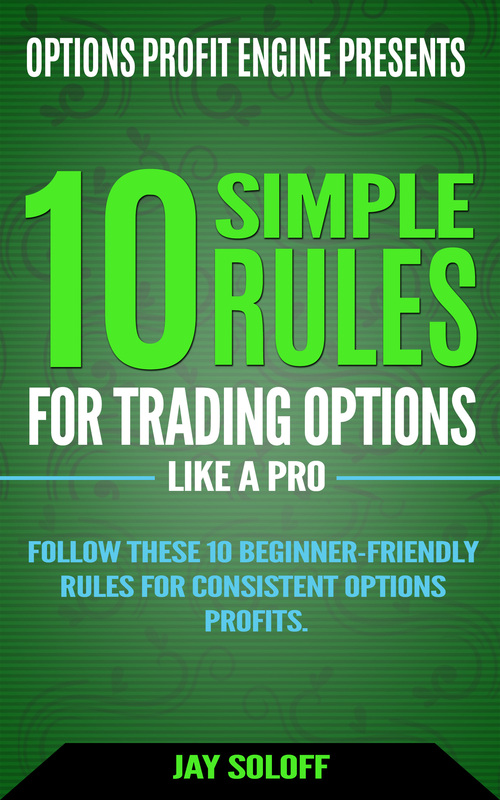 This provides an attractive opportunity to pick up some unavoidable value gains. Master limited partnerships and other companies operating in the midstream/infrastructure energy subsector have been implementing a range of financial maneuvers since energy prices and related stock prices crashed in 2015. Now late in 2018 it seems the group is at the end game of the path that has been followed for the past three years. The remaining problem is that the stock market has not yet recognized the stronger fundamentals in the sector with higher stock or unit price values. The final step to the midstream sector restructuring is now taking place. This involves taking out of the market those midstream companies where the sponsors do not believe keeping these companies as publicly traded entities makes financial sense for the long term goals of the sponsor entities. For example, at the beginning of 2018, there were eight publicly traded MLP general partner stocks. When this current consolidation phase is over, there will be none. Over the last few months the mergers or buy-ins of four midstream companies have been completed. Over the next few months, these stock symbols will meet the same end and no longer be publicly traded companies: SEP, EEP, AM, ENLK, WES, EQGP, VLP, DM, TLP. This list accounts for about 10% of the index tracked MLP universe. With one-tenth of the sector disappearing, MLP focused mutual funds, closed-end funds, ETFs and ETNs will have cash from the transactions that must be reinvested into the remaining stocks in the sector. ETFs and ETNs will be forced to follow the new weightings put out by the index providers. The closed-end and mutual funds won’t be forced to buy specific midstream stocks but will have significant amounts of new cash to put to work. To give you an idea of the amount of money at stake, the MLP ETF and ETN groups have $18.5 billion in assets. Mutual and closed-end funds have assets of $38 billion. Rough math gives approximately $6 billion in loose cash that will soon be chasing the remaining companies in the MLP space. The Alerian MLP Index has 36 component companies. The Alerian MLP Infrastructure Index just 21 component MLPs. The adjusted market cap of the entire MLP sector is about $170 billion. The bottom line is that the amount of supply coming out of the MLP sector will produce a large amount of cash that will be chasing the reduced amount of remaining supply. This demand imbalance could be the trigger event to start the MLP sector climbing out of its 3-year long bear market. Here are three investment ideas to participate in the supply vs. demand imbalance coming over the next few months. 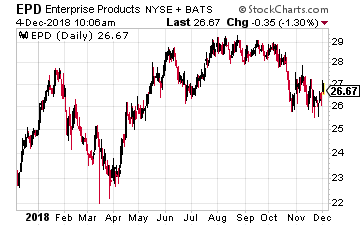 Enterprise Products Partners LP (NYSE: EPD) with a $57 billion market cap is the largest midstream MLP. The company provides the full range of energy infrastructure services. EPD is one of the biggest pipeline service providers to transport crude oil from the Permian to the Texas Gulf Coast. It recently announced that its 416-mile Midland-to-Sealy pipeline is now in full service with an expanded capacity of 540,000 barrels per day (“BPD”) and capable of transporting batched grades of crude oil. This company also stands out from the MLP pack by using internally generated cash flow to pay for growth projects. In an era where the cost of raising equity capital is high, this is a significant advantage. EPD yields 6.6% and is growing distributions by 2.5% per year. Magellan Midstream Partners LP (NYSE: MMP) primarily owns and operates refined products (gasoline, diesel fuel, jet fuel, etc.) pipelines and storage terminals. The company also owns 2,200 miles of interstate crude oil pipelines. The company provides service to almost 50% of the U.S. refining capacity. 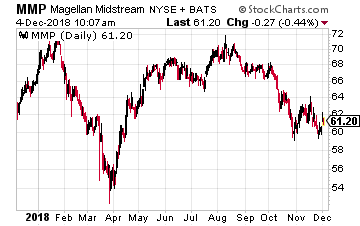 With its $14 billion market cap, Magellan is one of the more stable large MLPs. This is another of a very small number of midstream energy companies that funds growth capital from internal cash flow. Since its 2001 IPO, this MLP has consistently grown the distributions paid to investors. Over that period, the payouts have grown at a 12% compounding rate. Currently the company forecasts 5% to 8% distribution growth through 2020. If you don’t want to own individual MLPs and have to deal with the Schedule K-1 tax reporting, look at the Global X MLP ETF (NYSE: MLPA). This MLP ETF has a management fee that is half the rate charged by the larger and better known ALPS Alerian MLP ETF (NYSE: AMLP). MLPA uses the Solactive MLP Infrastructure Index as its benchmark. The fund currently yields 8.7%.